Cambridge Financial Services Group of Greenwich, Connecticut was chosen as the subject of this review primarily because they offer health insurance in nearly every state in the union. They trace their history back to 1983 when they were first established in Connecticut. They now have two other offices, in California and New York, and provide 401K and pension plans, health and welfare coverage, and specialized products for company human resources benefits packages. Enter your zip code below for competitive health insurance quotes from companies in your area. Although Cambridge Financial offers a handful of health insurance products, please understand that they do not deal directly at the consumer level. Their health insurance is provided to America’s employers, who then turn around and offer to their workers. You may contact Cambridge to find out if your employer offers their products or you can simply talk to your HR officer directly. It is important to note that Cambridge Financial provides its products based on a group insurance model. This model allows companies to provide insurance products and services to a larger group of employees, helping to keep costs down for everyone involved. If Cambridge works like other similar companies, the employer who is too small to take advantage of group rates would be able to join a larger group consisting of multiple small companies. Even though Cambridge Financial is active in most of the country’s 50 states, it is unclear how they conduct business outside of the three states where they have offices. A thorough review of the company website makes no mention of independent agents. Assuming they do not utilize local agents, a more likely scenario suggests that the company sells and services its products through corporate representatives based all around the country. Such an arrangement is not unusual in the financial services sector. This type of arrangement utilizes corporate representatives assigned to cover a specific region of an individual state, or even several states. Most of the time, these individuals will work out of their homes or from a small, local office in the city where they live. They make routine tours of their area of coverage and answer specific questions from their clients. They may make routine trips to one of the three main offices on regular basis. Although the company provides a good overview of their health, vision, and dental insurance plans, they do not provide many details regarding how their claims service works. If they are like many of the other companies operating with a similar business model, they are probably a third-party biller. This means that they ask customers to pay for their medical services upfront and then file a claim with them for reimbursement. However, it is possible that they utilize a direct pay billing system similar to what most of us are used. It is also highly likely that Cambridge Financial works through a preferred provider network. What this means is that physicians and healthcare institutions have the opportunity to join their preferred provider network, and thus, honor and their insurance. Preferred providers will accept a lower reimbursement rate than those not part of the network, translating into lower costs for consumers who use such providers. If this assumption is correct, Cambridge Financial may or may not allow non-network providers for routine services. In all likelihood, they would allow them for emergency services. 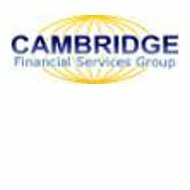 It is unusual that Cambridge Financial does not include anything on the company website about career opportunities. Normally, companies in the financial services sector list of job postings, at the very least. Seeing as how Cambridge does not, interested job candidates will need to contact them at the corporate office listed above. As a specialist in-group financial services for businesses, we assume that Cambridge Financial provides its own employee benefits packages. Whether you need a brand-new policy or simply a better one, you can see health insurance rates online by entering your zip code now.